Ever open a magazine (like ours!) 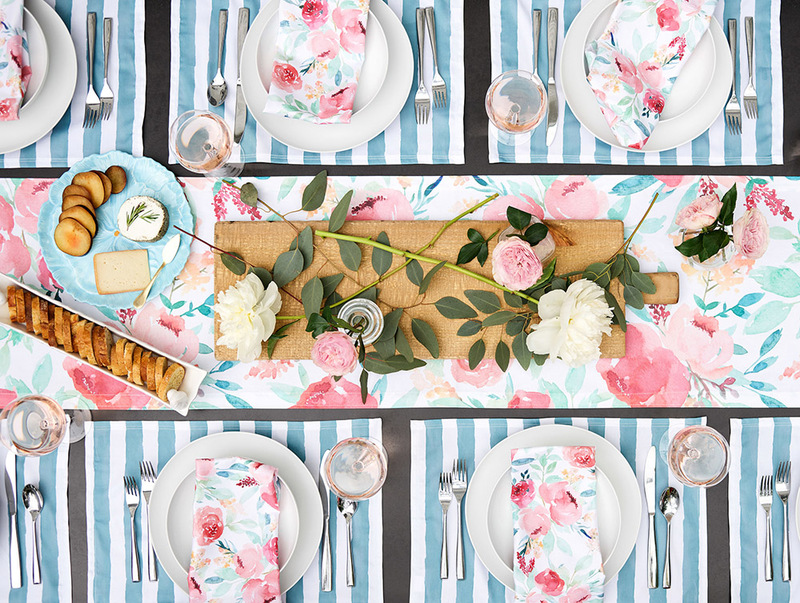 and think, “How do they mix patterns so effortlessly?” Some people seem to have an innate talent for mixing and matching and others of us—well, let’s just say it can be an overwhelming proposition. 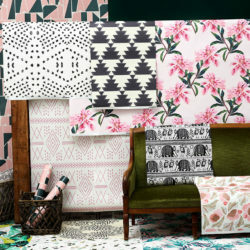 The good news is that there are some foundational elements that make pattern mixing accessible for all of us. Keep our tips in mind, and you’ll be on your way to layering like a pro! Play with pattern! 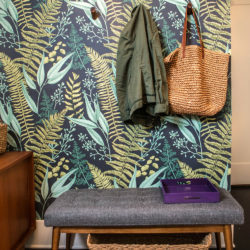 Shop the featured designs on Woven wallpaper swatches to recreate this playful entranceway. It’s easiest to begin with your favorite color or palette. Let’s say you love the color blue. 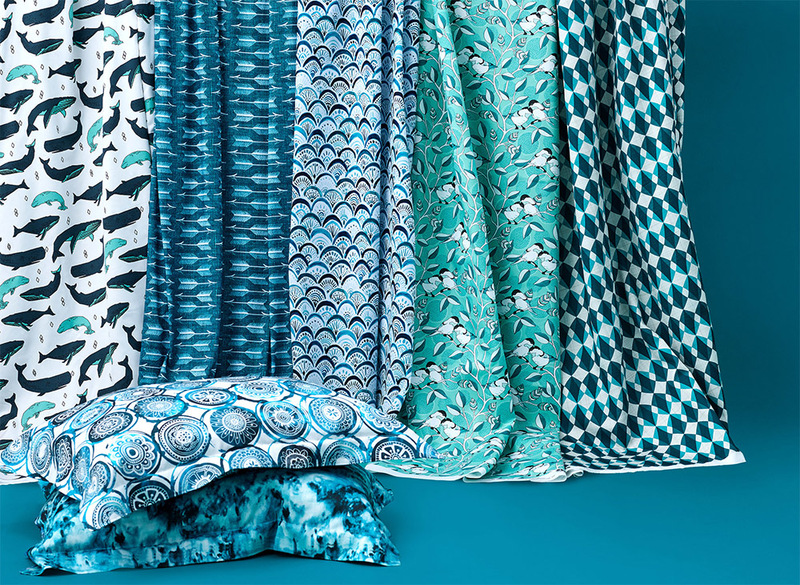 One way to deck out a room would be to mix designs with a majority of blue hues that are next to each other on the color wheel, such as navy blue, teal blue and sky blue. This technique often has a calming effect. Or try the route of complementary colors, pairing royal blue with lemon yellow to spice up a neutral room. 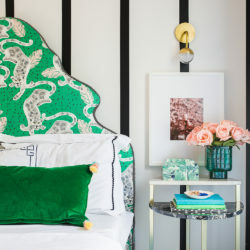 You can play it safe by going with the ever-classic black and white (and add one color like rose pink for a cute nursery) or branch out with a range of colors such as blush, black, mustard and aqua—just make sure each color shows up more than once in your room. 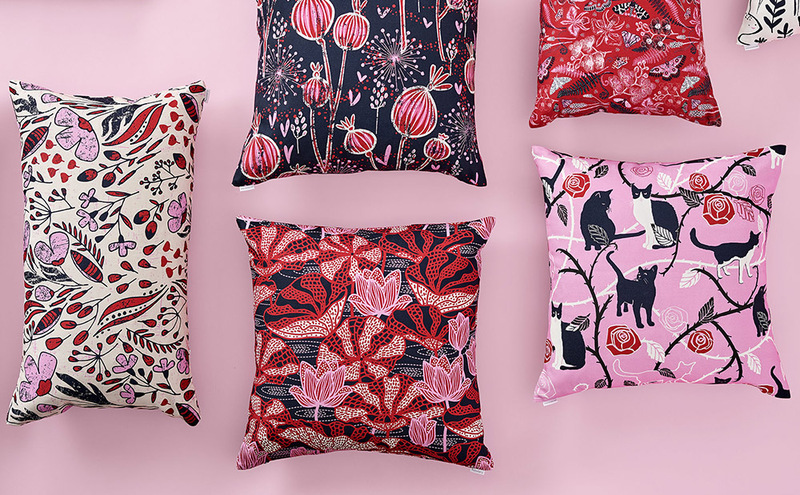 We asked our design community to show us what they could do with a color palette of navy, red and orchid and the results were simply breathtaking. 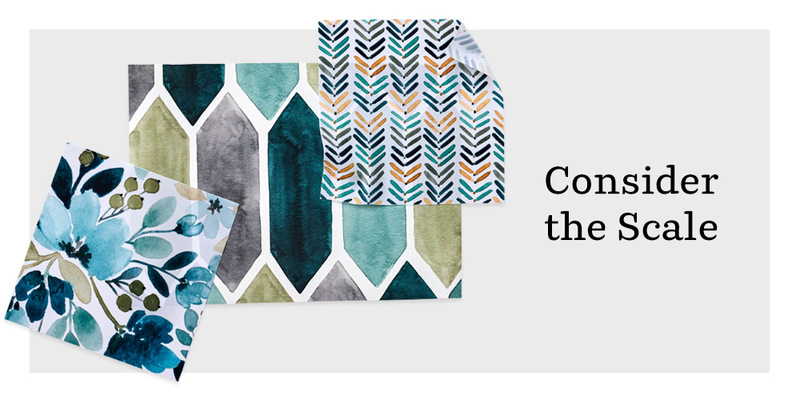 Shop the featured Orchid and Navy Limited Color Palette Design Challenge entries to practice mixing and matching. Pro tip: Search for limited color palette designs in our Marketplace to find beautiful color combinations from past Design Challenges. Do you have a bold piece of art or rug in the room that you love? Pick out elements of that style and color to build a room around them. 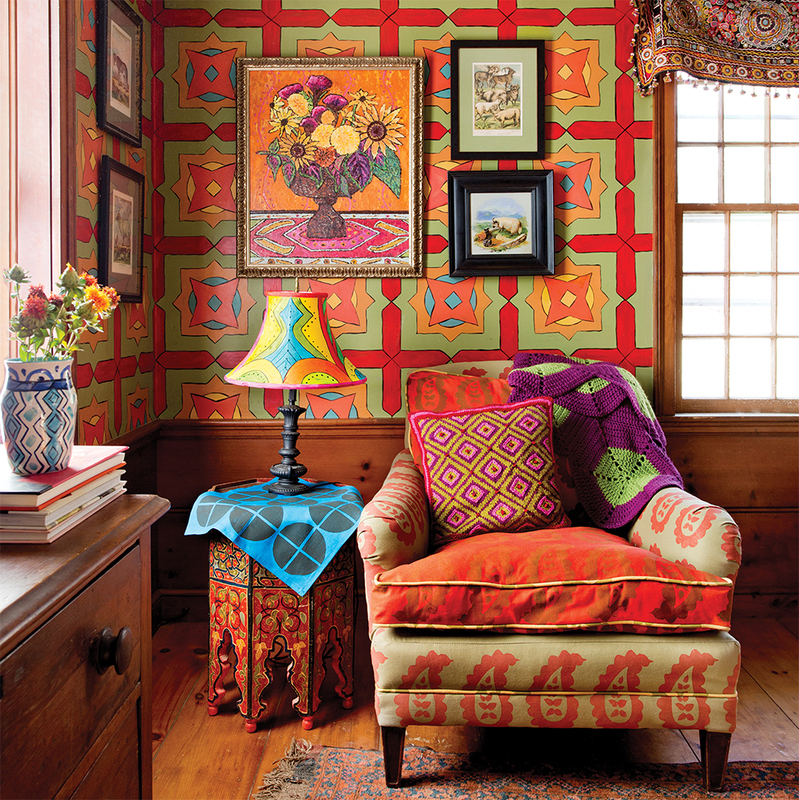 Kristin Nicholas, the author of Crafting a Patterned Home: Printing, and Stitching Projects to Enliven Every Room, has captured how bold patterns, one-of-a-kind textiles and bright colors can liven up your home without overwhelming your space. If your rug has a kilim vibe, consider adding bright geometric accent pillows to your couch. If you love your blue-and-white damask drapes, consider rococo-style flower prints and stripes in varying shades of yellow, blue, white and black. This is a category that’s often overlooked by consumers, but is a way to add dimension to your pairings. 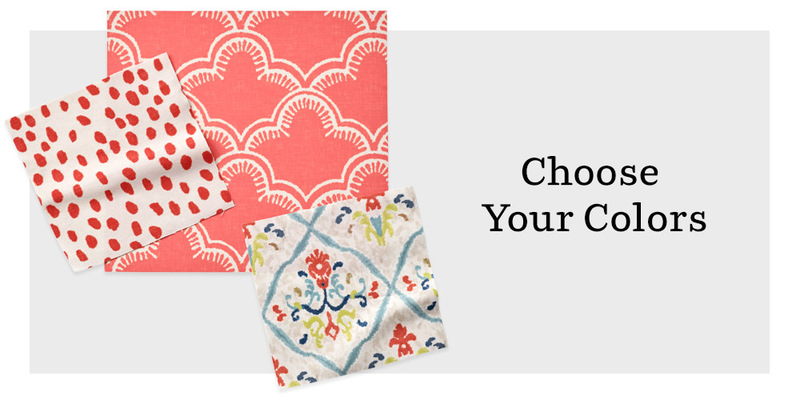 Select designs that vary in size, especially if your prints match in theme or color. 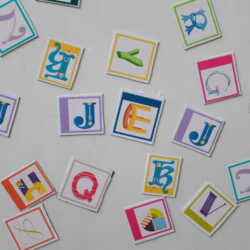 Viewing each design as a test swatch, for example, is a safe way to gauge scale and decide which designs pair well together. 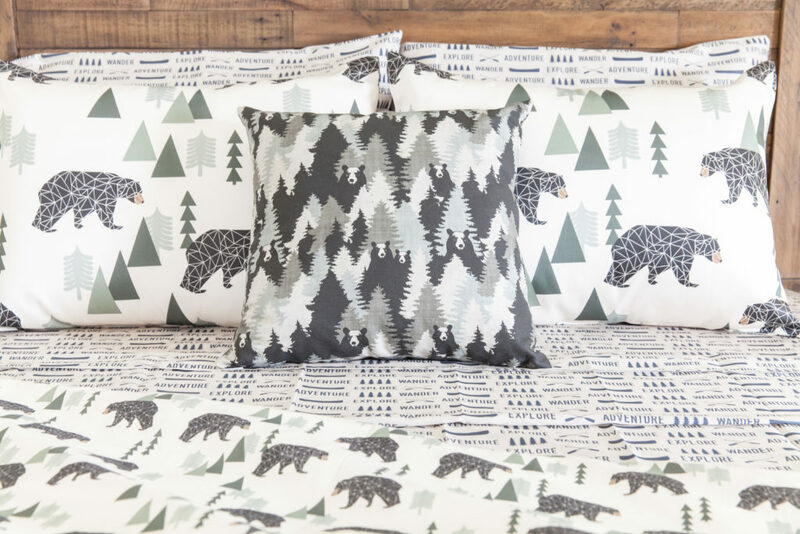 When choosing a very large-scale print for something like curtains or wallpaper, it’s safe to keep it classic with dots, florals or geometrics, and add in smaller-scale whimsical patterns such as animal prints or fruits on pillows and sheets from Roostery. Designers often create coordinating patterns with similar colors and different scales, so if you find something you like, check if the designer has created a collection (located in the Designed Collections section on the left side of any shop) with matching options or simply ask for another colorway. Most designers will be happy to oblige! 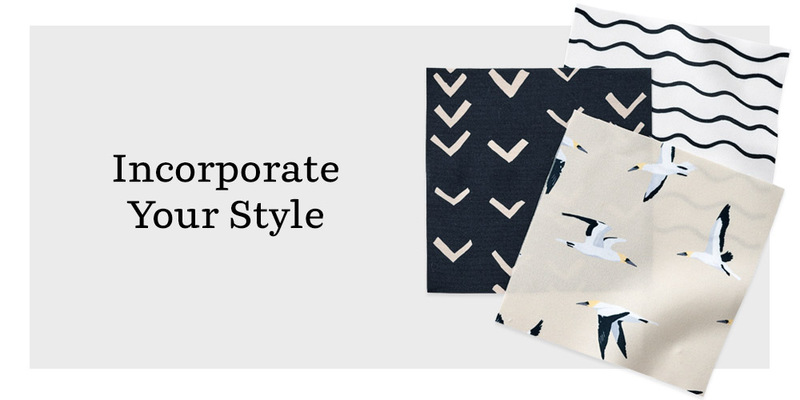 To contact a designer, visit their Spoonflower shop, and select the send a message link on the left hand side of the page. You will need to be logged into your Spoonflower account to do this. 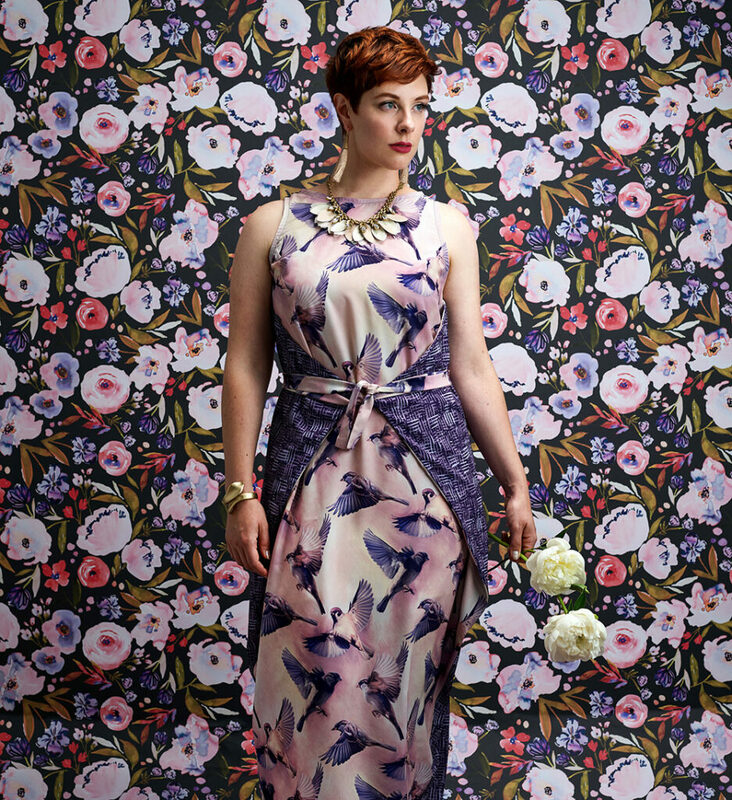 The Kielo Wrap Dress by Named Clothing is the perfect opportunity for mixing and matching designs of different scales. A larger print like Sparrow Flight on the front of the dress paired with the smaller scale of Painted Hatch Dark Purple for the back in coordinating colors pulls the look together. Are you ready to put your mix-and-match skills to the test? 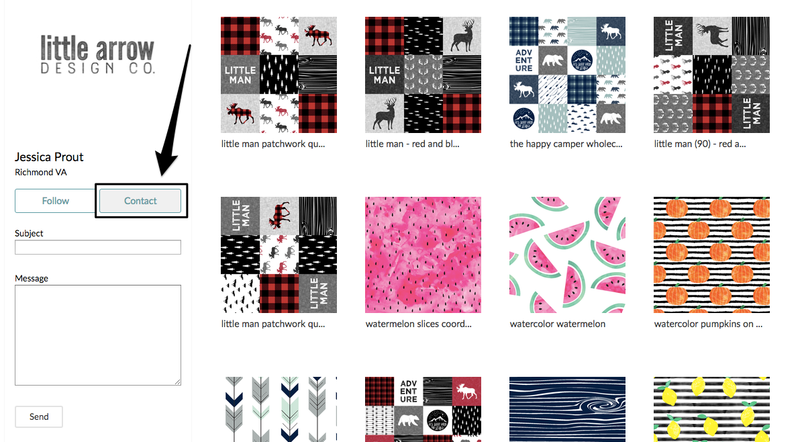 Shop the Marketplace (get a head start with our curated themes) and be sure to show us how you’re pairing designs by tagging your photos with #spoonflower!